A Cut Above Exteriors is a Portland-based remodeler and general contractor specializing in residential exterior renovation services. We’ve come a long way since we started in 1995 as siding contractors and Portland homeowners continue to choose A Cut Above thanks in large part to our award-winning customer service. 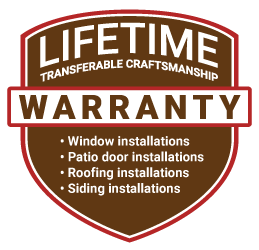 Today we also offer roof and window replacement as we continue to grow our reputation for providing top-shelf products, no-corners-cut workmanship, and customer-focused service. As a locally owned and operated business, A Cut Above Exteriors has all the motivation we need to deliver nothing but the best to our clients. The people we serve are our family, friends, and neighbors, which is why every client gets VIP treatment no matter the scope, size, or cost of your project. We are committed to be the best and most respected siding contractor and exterior remodeling company in the Northwest. Our service area includes Portland, Beaverton, Hillsboro, Wilsonville, Lake Oswego, Oregon City, Vancouver, and Southwest Washington. We are devoted to providing unparalleled customer service, value, integrity, and quality to local homeowners. Residential exterior services are our area of expertise. We are best known as award-winning siding contractors, a regional leader in siding replacement. Our expanded service portfolio also includes roofing, windows and patio doors. Our specialty products include James Hardie® siding and Renewal by Andersen® windows. We are dedicated and accountable to our customers, employees, subcontractors, families, community, and country. Our company strives to beautify Northwest homes and buildings, and to always be able to serve the needs of our customers—that is what drives us. We are pleased to announce that A Cut Above was rated in the top .01 by the James Hardie company, that’s the top 1% of the top 1%, among thousands of siding contractors nationwide. As a result, James Hardie has named us one of their Elite Preferred Remodelers. We have received many other recognitions from trade and industry associations, including the Angie’s List Super Service Award, the GuildQuality Guildmaster Award for Service Excellence, and Qualified Remodeler Magazine’s Top 500 Award. Get a Free Quote. Call us today! Contact us today at 503.334.0733 for a free consultation or fill out our online form to request a free, no-obligation estimate. 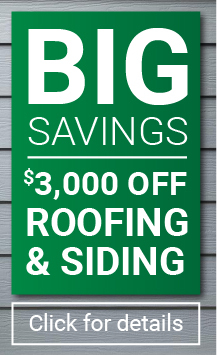 To learn more about our Portland siding, windows, or roofing services call 503.334.0733or visit us at our showroom at 18151 SW Boones Ferry Road. Our showroom is open Monday through Friday from 8am to 5:30pm. Our sales representatives will be more than happy to assist you.